Every once in a while, we stumble upon some hidden gems, those unassuming kopitiams just around the corner with unimaginative names but that are perpetually packed with people. In Ipoh, it is hard to keep track of the number of proliferating kopitiams, cafes, restaurants and everything in between, what more with a barrage of new commercial centres taking over several spots in the city. But the fact remains: this category of traditional, no-frills (read: no menu, no air-conditioning and no GST… well, at least not in a direct manner) outlets are still a hit with the local folks seeking a quick yet satisfying meal, usually served within minutes and costs less than RM10 per person. 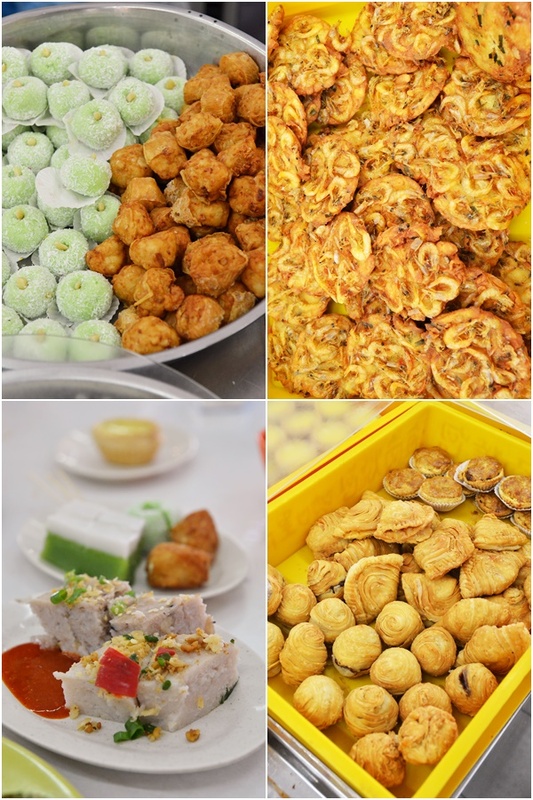 The variety, for one, is an alluring factor at places like these; you usually see stalls selling noodles, rice, snacks, sweets and savouries being dished out on the spot by locals (in Ipoh, hiring of foreign workers to cook hawker food is still fairly rare), so there really could be something for everyone. Bigger names such as Kong Heng in Old Town or Sin Yoon Loong/Nam Heong at the other end of the same road are familiar to most, including tourists, thanks to the hype generated by traditional media as well as digital channels. 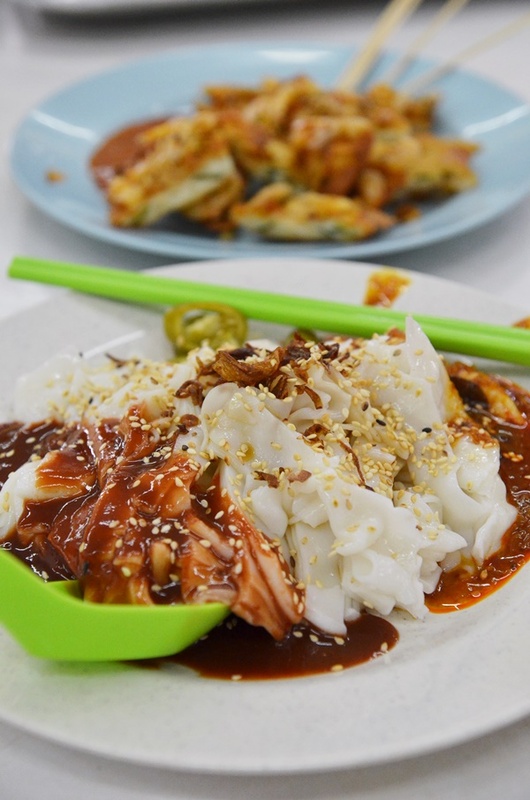 But looking beyond the more renowned kopitiams in Ipoh, there are various notable establishments that may not ring a bell with first-time visitors, but remain a staple in terms of reliable grub for the neighbourhood. 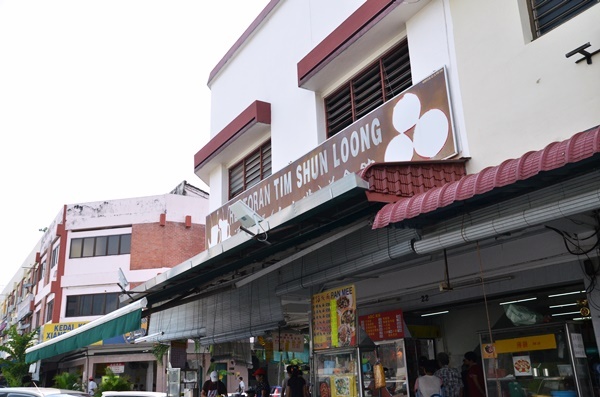 One such spot is Tim Shun Loong located in the Pasir Puteh area of Ipoh; within a stone’s throw of the famous Big Tree Foot Yong Tau Foo, Tuck Kee Restaurant and Ming Yue Confectionery. This corner lot is buzzing come breakfast or lunch, especially on weekends where finding a seat can be a challenge and you will find yourself jostling with the locals more than foreign faces. 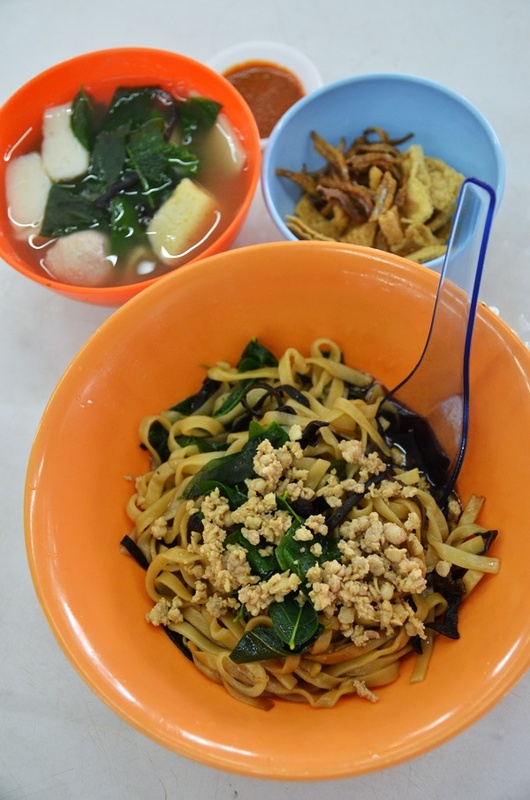 One of the must-tries here is the curry mee from the Chan Kee Curry & Wanton Noodles stall. The difference lies in the curry they cook fresh daily; without the use of coconut milk for a healthier option. 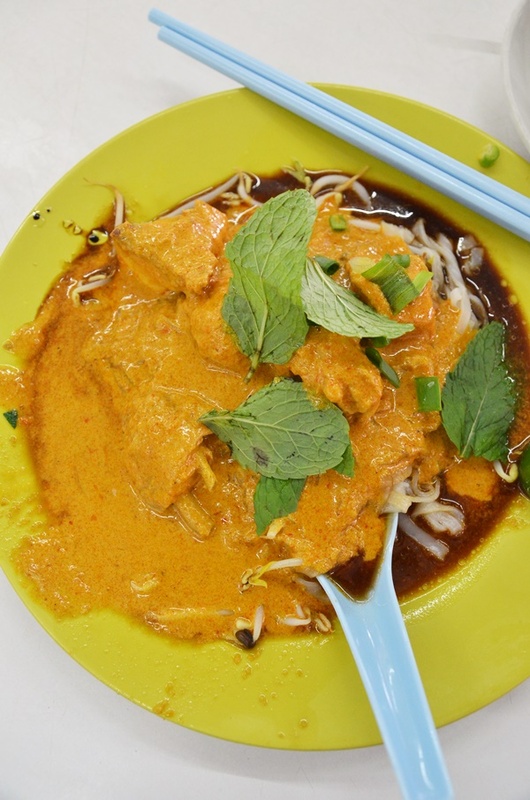 The bright orange gravy (I tried the dry curry chicken version) is packed with flavours from the spices, yet has mild heat with a sweet, creamy nuance; possibly from the addition of fresh or evaporated milk to replace the more indulgent santan. Last but not least, still focusing on the same stall, you can taste a bite-sized version of the Ipoh famous sar kok liew (stuffed jicama/yambean). Well, one can argue that by walking a short distance away to Big Tree Foot, you can get the real deal; fresh from the bubbling hot cauldron of oil, but still… the ones here make for a fine snacking experience, also paired with the same garlic chili sauce. 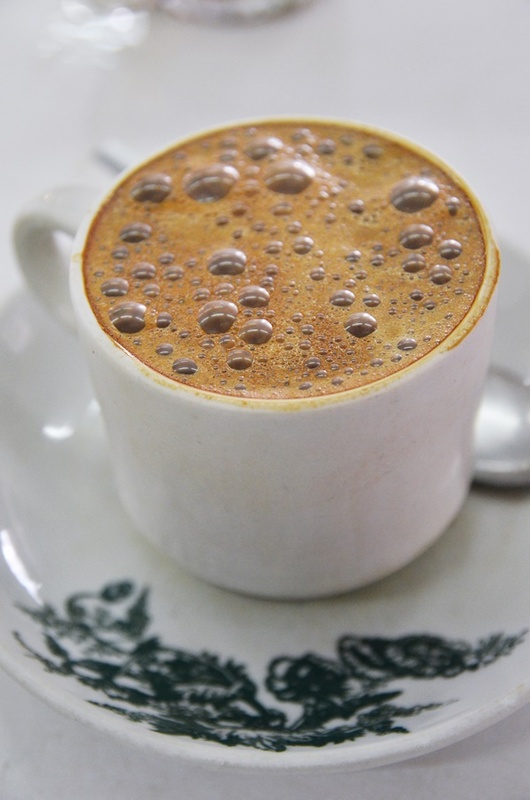 There’s no missing the quintessential white coffee when one eats in a kopitiam around Ipoh, and at Tim Shun Loong, this is true as well. The owner of the place is a foodie himself, but based on his frail frame, you cannot even imagine he eats three meals a day. He recommended the Penang prawn mee (called Hokkien mee here, of course because this is what the northerners call prawn mee); supposedly quite authentic and popular with the crowd. Next time then. The ABC mixed rice usually has quite a queue and sells out by 1pm. I would come early for its sesame chicken and all its dishes are good and fairly priced. Popiah here is yummy too!